Amadix, a Spanish startup located in Valladolid and winner of the Madrid South Summit, aims to provide diagnostic tools that support the physician’s decisions about patient management. They are focused on personalized medicine and innovative and non-invasive tests for early diagnostic uses in colon, lung and pancreatic cancer. One of the Top 10 Medical Innovations of 2018 announced in Cleveland Clinic’s Medical Innovation Summit is the hybrid Closed-Loop Insulin Delivery System, also known as the first artificial pancreas, which helps make Type 1 diabetes more manageable. The glucose monitoring device and insulin pump stabilize blood glucose at an unprecedented level. The World Medical Innovation Forum will take place in April 8–10, 2019, in Boston, (MA) USA. A forum that connects Medicine and Artificial Intelligence. In it you can hear first-hand how digital innovations and big data are being used to enhance the care continuum, improve the patient experience, and increase positive outcomes. Hospitals and clinics take foreign patients on a daily basis. Managers of these centres usually rely on interpreters to help patients understand what’s going on. However, if the treatment will be longer and they need to take a clinical report home with them in a matter of hours. Is it possible to request an urgent medical translation? Of course it is! Instead of focusing on writing content that lets you establish yourself as an authority in your niche. If you run a clinic, you should be blogging about the latest techniques in your field, how patients can find relief from chronic pain, or anything else related to your industry. Did you know that 2018 came with new strategies for patients of coronary disease or living with high cholesterol? Studies on new drug combinations reported a 75% reduction of LDL levels and a 20% reduction in risk of cardiovascular death. To reach ultra low LDL levels, ongoing trials combine PCSK9 inhibitors -a new class of cholesterol-lowering drugs- with statins. An important issue in Medical websites: how legal notices on a website should be translated. Researchers at The University of New Mexico found that medical cannabis provides immediate symptom relief. “If the results found in our studies can be extrapolated to the general population, cannabis could systematically replace multi-billion dollar medication industries around the world”. Jacob Vigil. Britain’s greatest medical innovation in Bruce Keogh’s opinion, the NHS will be turning 71 in 2019. It consists of a small, implantable neurostimulator connected to leads (tiny wires) that are placed in up to two seizure onset areas. It comes with a simple remote monitor that you use at home to wirelessly collect information from the neurostimulator and then transfer it to the Patient Data Management System (PDMS). A surgical procedure is needed. According to a Goldman Sachs study, Millennials are huge drivers of the preventative and holistic healthcare movement. More wellness-conscious than any generation before them, they exercise, eat healthy and track their health. The world’s population is expected to increase by one billion people by 2025, according to the United Nations. Among them, 300 million people will be at least 65 years old due to the continued rise of life expectancy all over the globe. Service innovation and additional healthcare resources are needed to deal both with chronic disease and long-term care of the increasing senior population. For of each five adults experience low back pain at some point. The good news is that a new study revealed that pulsed radiofrequency may help patients with low back pain that has not responded to conservative therapy. It brings hope for empowering doctors and patients due to its profound capabilities. It has a promising future for enabling early detection of disease and metabolic abnormalities. An example of it’s possibilities is the bloodless blood test. It means understanding your client’s needs and adapting to them as best you can. 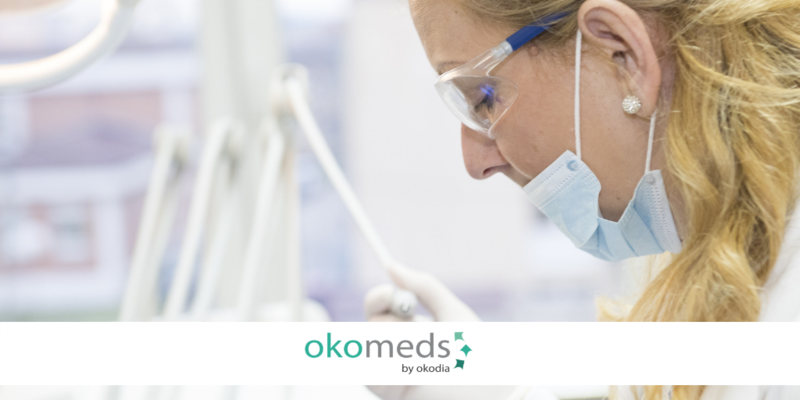 A success story Okomeds and PCM Partners Research. 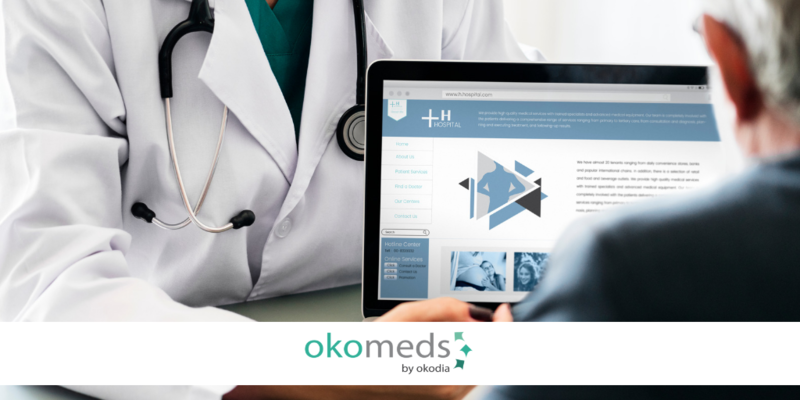 After a collaboration of more than 5 years ago, Okomeds (Okodia Group) provides PMC with quality assurance and adequate treatment in all services provided. The new telemedicine systems can reduce the gap of people without adequate medical service in emerging countries. Matibabu, by Brian Gitta, a device that tests for malaria without a blood test. This Ugandan medical solution wan the Africa Prize for Engineering Innovation. In the next 5-7 years, the bioprinting market is estimated to expand by 15.7%, and it is anticipated to grow over $4.70 billion by 2025, according to the latest study of BIS Research. The future of bioprinting: tissues not organs. 3D bioprinting is a mind-boggling technology that emerged in the last couple of years. Unlike in the case of printing out objects, bioprinting not only needs living cells, but they also need a nurturing environment to stay alive: food, water, and oxygen. However, thi technology means the creation of living tissues, such as blood vessels, bones, heart or skin via additive manufacturing a.k.a 3D printing. SOURCES: Okodia Blog, World Medical Innovation, Medical News Today, Cleveland Clinic, News UNM, Health catalyst, Medical Futurist, HBr.